There’s a great article on Smashing Magazine that says that a User Experience cannot be designed. The article goes through a lot of theory and reasoning to prove that right based on a lot of naming conventions of what UX is and is not and then it reaches the main premise “you cannot design the situation of the user” ergo you can’t design the UX. In the end it all comes down to the fact that you design for the experience instead of design the experience. true, but then again there were too many words for such an obvious statement. Be that as it may I found myself this morning reflecting about some of my best experiences and how did they came to happen. I noticed that most of my most valued experiences happened all in one place: Walt Disney World. 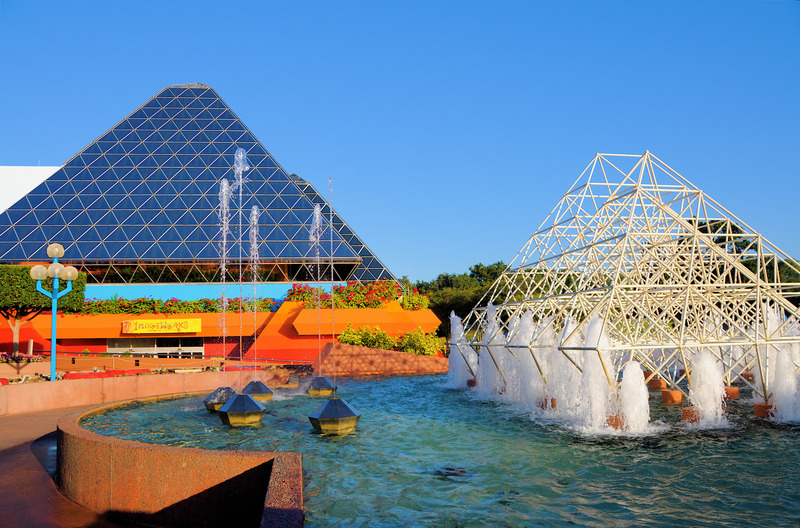 In many ways I grew shaped by the ideas and experiences that I lived on the times I went to Disney World. It’s no secret that the 2 people I admire the most are Walt Disney and Steve Jobs. And both of them were somehow able to create companies that shaped my experience and the experiences of many others. We’ve all felt the “reality distortion field” that Steve had and I cannot avoid comparing that to the feeling you get when you enter a Disney ride. From Pirates of the Caribbean to the Small World, every single Disney ride leaves you with an amazing feeling that you somehow became part of the stories told there. And from a kid’s point of view, it’s even more awesome! It happens with most Apple products. It happens with Disney movies. Somehow these two companies manage to design absolutely amazing experiences driving a huge fanatism over their brands. But how do they do that? How Disney rides manage to make you feel part of a magic story? And how can that be applied to UX design? I do not pretend to know the key of how they do it, but I do realize a few stuff that might lead us there. In both Apple products and Disney movies & rides there’s a huge sensation of something magical happening around. One minute you’re in a line and the next one you’re in a world surrounded by pirates, you pinch your fingers over the glass and the picture on the screen grows larger, you go into a cinema room and suddenly you’re underwater with bubbles around you and the little mermaid singing in front, you touch a couple of buttons and you are videotalking with your grandsons that are halfway aound the world. All magician know that it’s all about the illusion in your mind. It’s about the surprise, the unexpected, the “impossible” thing that happens in front of your eyes. Both Disney and Apple know how to do that. Both Steve and Walt pushed the bar higher time after time to achieve that kind of feeling. It’s about the “I don’t know how it happened, but wow” feel that people get when they experience what you want them to experience. That usually requires overcoming huge technical challenges and most importantly, requires A LOT of imagination. 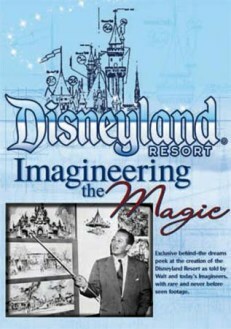 I always wanted to be a Disney Imagineer. They’re the guys that make the magic real, the ones that make a screen so big and effects so great that you swear your flying on an icarus over California on Epcot’s ride “Soarin'”. To achieve that kind of “awesomeness” you need to care deeply about details. It’s the smell of oranges when you’re over the oranges feel that make you feel you’re there (Soarin’ again), it’s the disgusting hairs on the leg of the pirate on the bridge (Pirates of the Caribbean). Apple does the same, removing buttons, caring about every animation, every touch, every single little thing, and then hiding all the technical stuff from the user. It seems magical to use an iPad or an iPhone, even nowadays. Taking care of all the little details and overcoming the technical challenges with a lot of imagination is the key to create a magical feel that will shape the user experience. The other key thing that creates amazing User Experience and the key step I found to “design” the user experience is storytelling. We humans are very prone to storytelling, it’s the way that for millenia we’ve learned and shared our knowledge and culture. Still today, with all our technology, that hasn’t changed one bit. Storytelling was, is and will be the best way to reach the human heart and brain and to create a dent in someone’s life. That’s something both Walt and Steve managed amazingly. Remember Steve presenting the iPhone, the way he told the story of how smartphones at the time had all the keyboard problem, the logic process of how they tackled it and solved it, the countless hours developing and the amazing feeling you get when you use it. Now think of the great Disney movies. They’re all inmersive stories that creates amazing experiences. Same with the rides: they make you feel liek you’re in the middle of those stories. When you create an amazing story and sorround it with a magical feel on it you have the key to design an amazing experience that your users/costumers/visitors will cherish for life. Apple & Disney are not alone on this: Harry Potter, The Lord of the Rings and even some Google Products (Search, Gmail, etc) have a “magical feel” around it that helps build an amazing experience. So let’s take that to the UX design process. When designing an app the application of these principles might go against some of the “keystones” of UX design. Be bold and fear not. Take “usability” for example, altough I’m a big defender of the “usability first” principle I noticed that what makes some apps great are that they sacrifice some usability upgrades in pro of a more “magical” feel. Consider the recently launched Gemini Mac app to remove file duplicates. The animations on this app might go agains some “usability principles” like speed. They make deletion slower on purpose to show a 2 second animation of papers getting shredded, but all those little details are what makes the experience of the app such a bliss to use. So my take here is that it’s ok to sacrifice some usability principles if it’s in pro of creating a magical feel. However that should apply only to secondary features. Don’t be afraid to make small usaility sacrifices in pro of a more “magical feel”. Apple is doing that with all the skeumorphing they’ve been adding to their apps lately. I’m still not sure how I feel about that specifically (I’m not very fond of it) but they’re definitely being bold on turning usability principles off in pro of a more magical feel. Also try to add some storytelling to it. Maybe on the selling video, maybe on some of the features or even in error dialogs (funny 404 pages are a good example of this). But please… remember Clippy. No one wants Clippy (and don’t get me started on Microsoft Bob). Usability and purpose still go first. There are many great usable apps that need no magic or storytelling. Productivity apps are good example. But when you add a nice magic feel to it, it becomes awesome (think “Tea house Fox” theme for Gmail). If you want to build something great become a UX Imagineer. Focus on the details, even those that are not-obvious (remember the smell of oranges) tackle the big technical problems using your imagination to create new ways to solve them, take your time, sweat every detail until it feels right. Let imagination guide you. Make your app feel magical for the user, make them feel that they’re doing something impossible. Make the user achieve his goals in an easy, fun and magical way. And make them feel part of a great story while they’re at it. Do that and success is most likely guaranteed. UPDATE: Patrick Neeman (@usabilitycounts) sugested me to add a link to the process of imagineering which is how in reality, everything gets done. Reading the article I noticed a third key which is kind of obvious: Testing. Testing and retesting is key to make sure that what you’re building actually makes sense. Thanks for the link Patrick!